Dr. Andrea Millen, PsyD, RYT, is a visual artist, yogi, and forever student. She interweaves movement, mantra, breath, philosophy, and meditation into each of her yoga classes. She offers a sense of warmth and groundedness as students explore the embodiment of each pose, breath, and movement. She believes there are many paths to healing and welcomes modalities that unify the mind, body, and spirit. Andrea is especially excited to be part of NWAI and share these practices in a therapeutic setting. 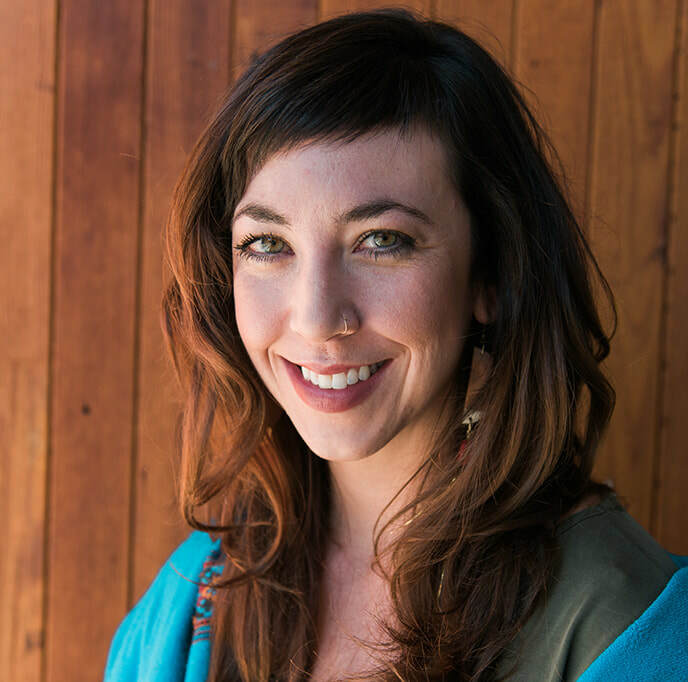 Andrea holds a PsyD in Clinical Psychology and is a certified yoga teacher. She is passionate about providing holistic psychotherapy and therapeutic yoga. She completed a postdoctoral fellow at Stanford University with a focus on OCD, hoarding, and anxiety in 2017. Her background in clinical psychology includes research at Columbia and Stanford University and providing therapeutic intervention and assessment in clinical trials for OCD and Hoarding Disorder. After her postdoctoral fellowship, she traveled to India for a 200-hour Akhanda Yoga Teacher Training in Rishikesh with her teacher, Yogrishi Vishvketu, PhD. She experienced transformation and healing through yoga and her time in India. Inspired to explore the benefits of a yoga practice in the context of clinical psychology, she pursued yoga therapy training under the mentorship of Sarah Joy Marsh. "We think that the point is to pass the test or overcome the problem, but the truth is that things don't really get solved. They come together and they fall apart. Then they come together again and fall apart again. It's just like that. The healing comes from letting there be room for all of this to happen: room for grief, for relief, for misery, for joy." Focused on results, not return visits. Schedule a free consultation and start the fight for your freedom.